The ResMed Mirage Micro Nasal CPAP Mask is one of three very well designed nasal CPAP masks within the Mirage family of ResMed interfaces. All of the ResMed Mirage CPAP nasal masks share the same general characteristics. The ResMed Mirage Micro CPAP mask was developed with an emphasis on a stable comfortable design, and represents the perfect mask-style for the active sleeper, or new CPAP user that needs a mask that is stable, yet comfortable, and will ensure an excellent seal. 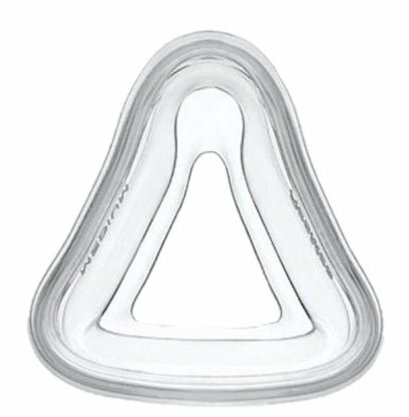 Although newer designs of CPAP masks are starting to steer away from the forehead stabilizer 't-piece' adapter, these types of masks again, represent some of the more well researched, and designed interfaces on the market that are engineered to provide that stability, without sacrificing comfort. Below is a brief ResMed introduction video for the Mirage Micro product, and showcases why the Mirage Micro forehead pad adjustment, or MicroFit feature, can really go a long way in helping insure an excellent seal. Please click below, to see the user guide for the Mirage Micro CPAP Mask. The Mirage Micro nasal CPAP mask represents a comfortable stable option for those CPAP users that struggle with consistent seal issues, or displacement issues during active sleep habits (tossing & turning). A traditional design, that provides all the comfort you have come to expect from ResMed nasal interfaces. The Mirage Micro Nasal Mask also offers one of very few FDA approved child or adolescent mask size options available to the market.